Look your best on the green! Learn about deals at the Golf Pro Shop, take lessons or book caddie services... join Lookout Mountain's Player's Access Card Membership to get exclusive benefits. 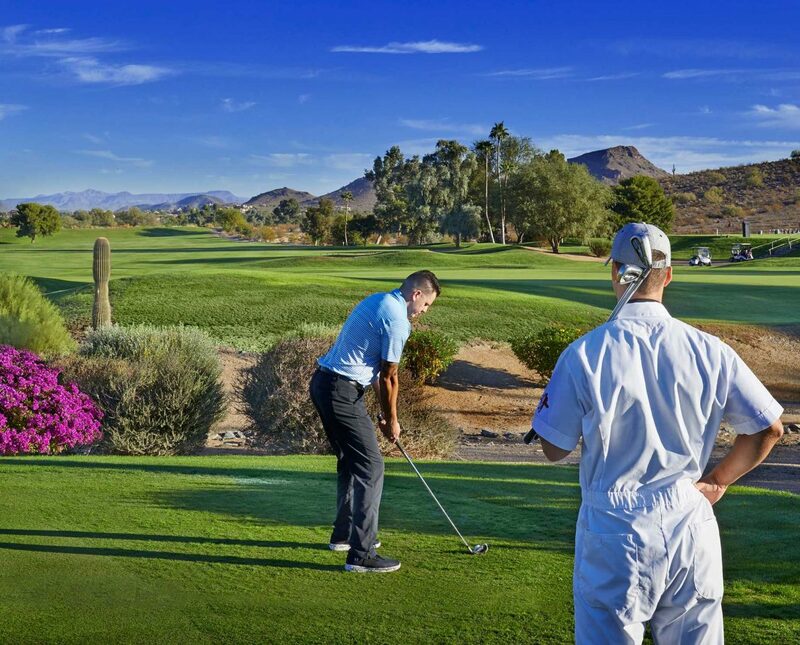 The Hilton Golf Academy is ideal for a golf enthusiast looking to improve every aspect of their game, whether staying with us at a Pointe Hilton Resort or stopping by as an Arizona local. 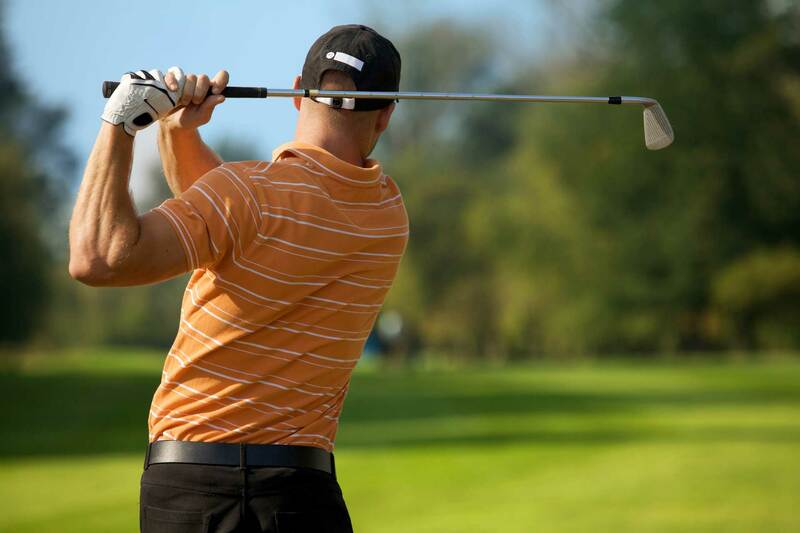 Enjoy brief group lessons followed by a full 18 holes of golf with your instructor in the afternoon. The Daily requires a minimum sign up two students. The CEO package features a private class where you receive the utmost personalized attention and instruction. 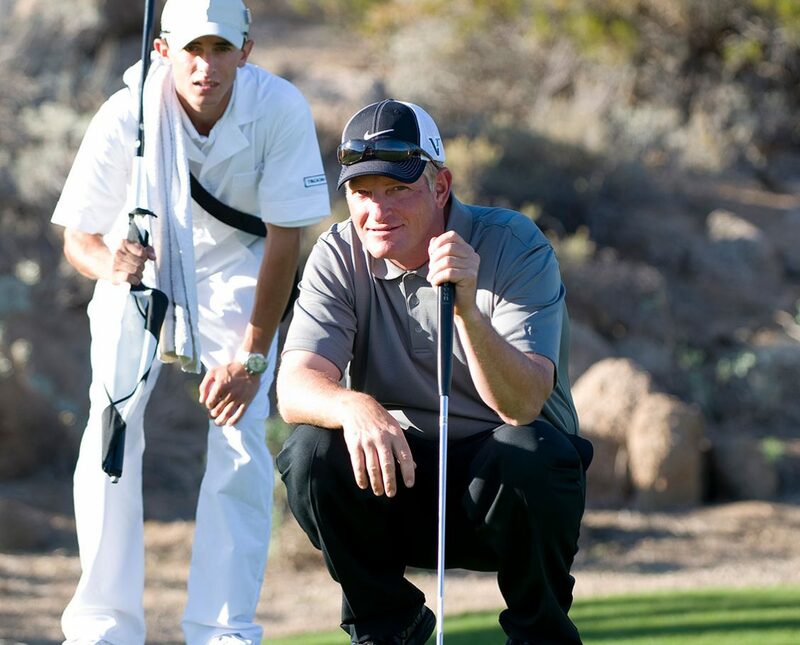 Lookout Mountain has partnered with CADDIEMASTER® to allow you to play the way the pros play. 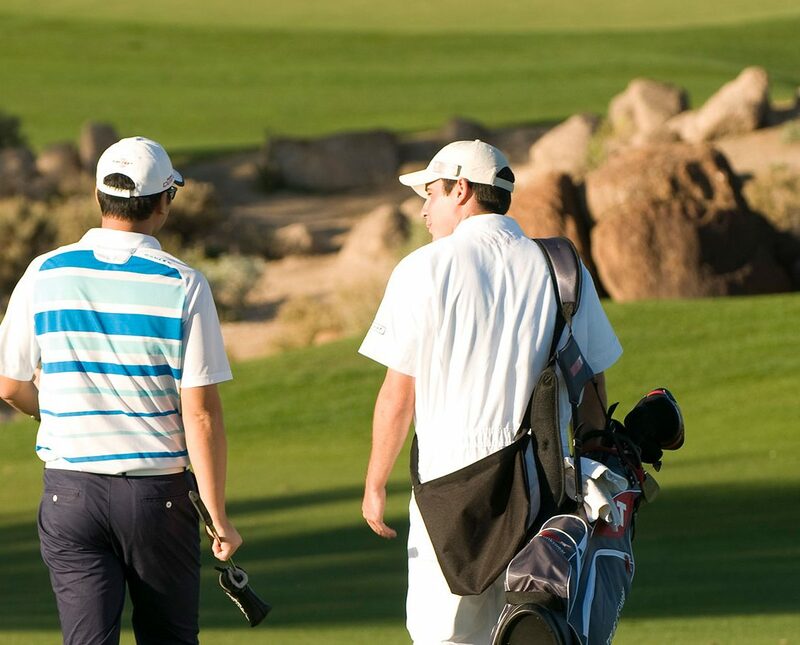 With extensive course knowledge, our caddies help you navigate, and will assist in locating golf balls, raking bunkers and cleaning your clubs. Caddie reservations must be cancelled a minimum of 24-hours in advance in order to avoid the full Caddie fee. Recommended Gratuities: We recommend a $20 per player cash tip for all Forecaddie services. Gratuities can be higher or lower and should be based on the level of service provided by the Forecaddie. *There is a 15% fee on all gratuities charged on a credit card. Purchase a Callaway Bag* and receive a free round of golf. (*Offer available while supplies last. Round of golf must be played on the same day of purchase). Call the Golf Pro Shop for more details at 602-866-6357. Visit Tocaloma Spa and enjoy a 50-minute massage for only $89! You can choose a 20-minute neck, back and shoulder massage for $45 instead. Call Ext. 7085 or (602) 375-4645 to make an appointment. Tee up this year with Pointe Hilton Tapatio Cliffs Stay and Play package including a one-night stay, Hilton breakfast and one round of golf at the scenic Lookout Mountain Golf Club. Do you enjoy playing Lookout Mountain? Would you like to save money each time you play? Or would you rather play as much as you want for one, low price? We have the perfect program for you! Play 5 rounds, get your 6th round FREE!